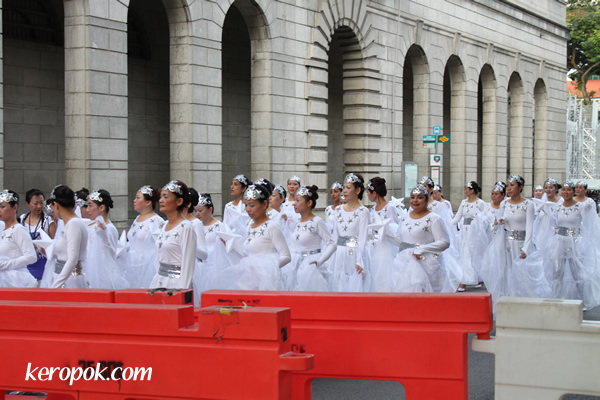 The National Day Parade is much loved public event in Singapore. Everyone wants to get tickets to the show. To give everyone a chance to experience the parade in person, they have rehearsals that people can attend. I was nearby and caught a glimpse of these fairies walking to the site. You can see someone was glad to be photographed in the photo above. What a big huge smile! 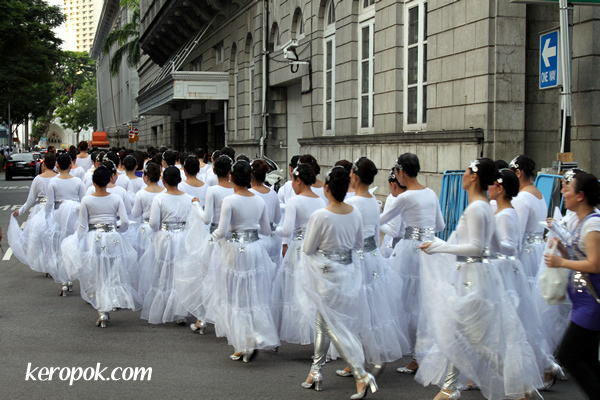 The photo below, the ladies rushing to their rehearsal. They walk really fast! Hey folks in Singapore, do you want to win a Flip MinoHD Pocket Camcorder and MXR WizQubes? You can at the "Enjoying a Digital Lifestyle" roadshow. I was informed that as part of the National Day Parade 2010, they have organised a free "Enjoying a Digital Lifestyle" roadshow at ION Orchard (24/25 July) and Bishan Junction 8 (31 Jul/1 Aug). At the roadshow you can learn how to use infocomm tools like Facebook, Twitter, YouTube and set up blogs. I think the most interesting part is experience holding the Chinook in your hands with MXR technology. To find out more about the New Infocomm & U roadshow, you may wish to visit the Singapore Netizen page in Facebook at http://www.facebook.com/singnetizen.